Aquatic Development Group (ADG), has been contracted as the design/builder of the brand new Island H20 Live! 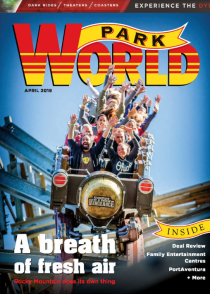 Waterpark expected to open Spring 2019 at the Margaritaville Resort in Orlando, Florida. 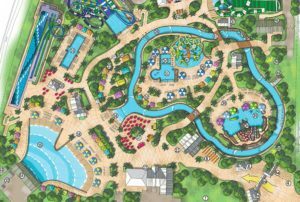 This tropical-themed water park is under construction and is situated on 11.5 acres, which will be home to over 15 water attractions designed for guests of all ages and skill levels. Island H20 Live! Waterpark will be the first water park in Kissimmee, Florida in 13 years. Island H20 Live! will feature a 24,000 square foot dual beach wave pool featuring ADG’s Wavetek technology, a 1,300 foot long lazy river with a 500 square foot apron beach entry, a basketball and crossing lagoon, a multi-level play structure, a shallow kids activity pool with play features and nine water slides. The waterpark will be the first in the area to have an adults-only area, which will feature a 2,500 square feet formal pool with ample deck space and lounge area. To further cater to its guests, the waterpark will have DJs, dance parties and available event space. In addition to the wide array of attractions and amenities, Island H20 Live! will also be home to large amounts of lush landscaping and beach theming throughout. 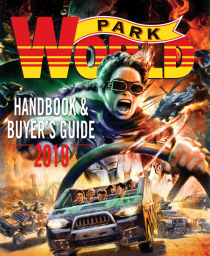 © 2019 Park World Online – Theme Park, Amusement Park and Attractions Industry News.